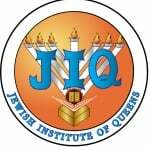 At JIQ Learning goes beyond the classroom. Our Judaic Extra Curricular programs keep our students excited about Judiasm and ensures that the enthusiasm comes home. Students here is where you can scan your Tzivos Hashem points from home! and view a copy of your daily and weekly Missions.